According to the joint statement on Syria, "the presidents agreed to maintain the existing military communication channels to ensure the security of US and Russian armed forces, as well as to prevent dangerous incidents involving the forces of allies fighting the Daesh terror group." 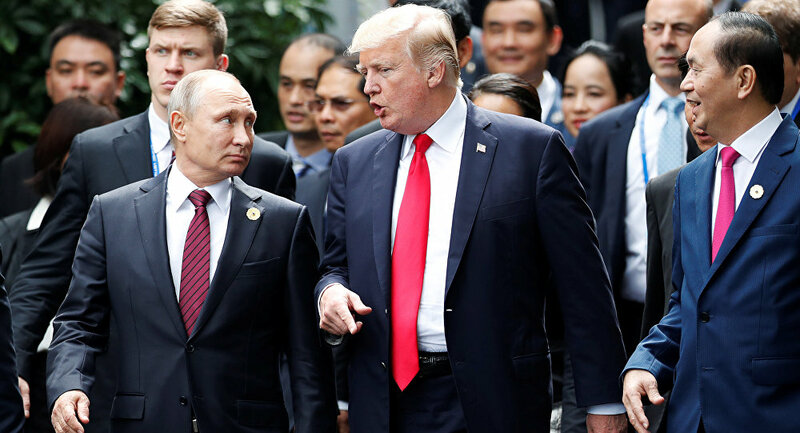 Vladimir Putin and Donald Trump also praised the "successful US-Russia enhanced de-confliction efforts" between the countries military that have "dramatically accelerated" the terrorists’ losses on the battlefield. "They reviewed progress on the ceasefire in southwest Syria that was finalized the last time the two presidents met in Hamburg, Germany on July 7, 2017," the joint statement read. The two leaders have agreed that "there is no military solution to the conflict in Syria. They confirmed that the ultimate political solution to the conflict must be forged through the Geneva process pursuant to [UN Security Council resolution] UNSCR 2254."